The Monadnock region town of Windsor, New Hampshire was originally known as Campbell’s Gore. 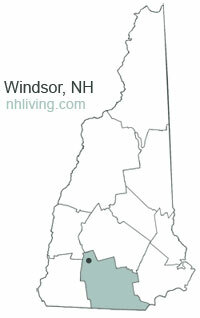 Windsor, NH was incorporated as Windsor, after Windsor, Connecticut, the hometown of James Campbell, an early grant recipient. Windsor is the smallest town in New Hampshire south of the White Mountains. To share any Windsor, NH information with us, please contact us. Learn more about advertising in NHLiving.